Nero 2016 Classic is available at a suggested retail price (SRP) of US $ 99.99, and Nero 2016 Platinum for US $ 129.99 (SRP) from authorized Nero sales partners, or directly from the Nero online shop at www.nero.com. Owners of a previous version of Nero can also upgrade at a special price. Nero offers customized and discounted licensing programs designed to meet the needs of commercial enterprises, educational institutions or government agencies worldwide. 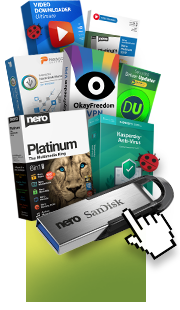 Nero 2016 consists of tried-and-tested stand-alone solutions, such as Nero Burning ROM 2016 (burning software; SRP US $ 49.99), Nero Recode 2016 (video converter and ripper; SRP US $ 39.99) and Nero MediaHome 2016 Unlimited (media file manager and media server; SRP US $ 39.99) that have also been upgraded with the new functionalities and which can be purchased separately online. In addition to comprehensive 4K video support and the full feature set of Nero Video 2016 (video editing; SRP US $ 49.99), Nero 2016 Platinum also includes an unrestricted full license for the new music search and recording software stashimi (SRP US $ 19.99) from the company bearing the same name.